Nina Gelman-Gans, Jewish Family Educator, sees the family as a key mentoring force for living Jewishly. Coming from an entrepreneurial family, she noticed a need for hands-on, accessible, engaging tools for Jewish families. She created the nationally embraced Jewish Family Times™ to help families capture moments throughout the day and make them positively Jewish. It is now available in electronic format, for the good of the environment. Pitome Publishing has grown to include the Jewish bedtime project, Tried-and-True family workshops, and mylar tracing stencils for the Shema, Modeh/Modah Ani, and the just released “Seek Peace and Pursue It”. We hand-pick related products to enrich your teaching toolbox and to jazz up your day. 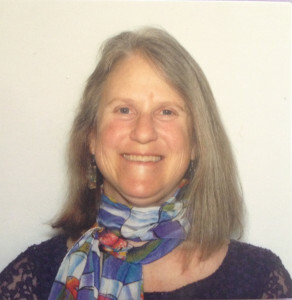 Nina has attended over 10 CAJE conferences, served as educator-in-residence at CO mini-CAJE, Aleph Kallah, Limmud LA, and Limmud UK’s CAJE representative. Regionally, she is available for guest educator workshops for students and families. She trained with the Hornstein and Heller programs at Brandeis University. She lives with her husband and two growing children, who you may see peppered throughout Jewish Family Times™ editions.